I didn't want to make the same cookies again, and to be honest, I didn't want to make something so time consuming. 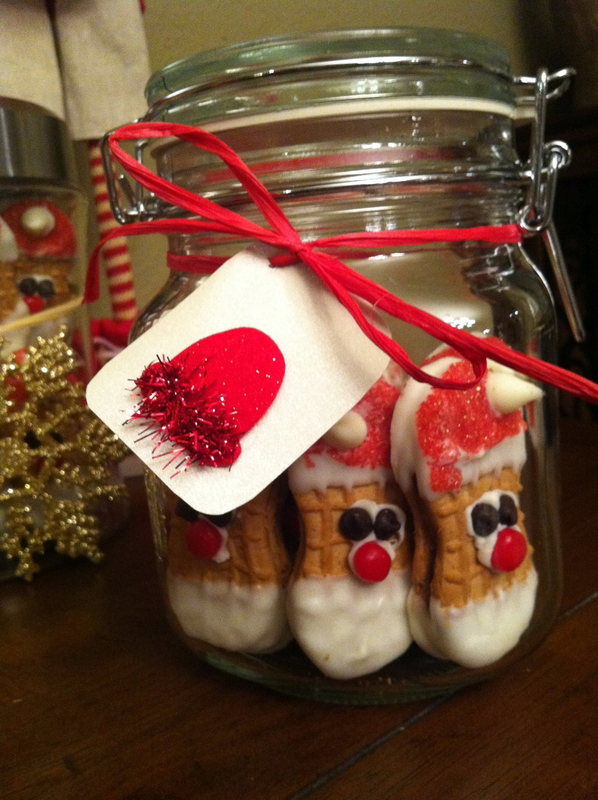 Luckily I now have Pinterest in my life, so there is no shortage of cute and easy ideas. I decided to make these two treats: Hershey Hugs pretzel bites and Rolo pretzel bites. To spice it up, I bought some different flavors of Hershey Kisses, including a mint version and a candy cane version. I had to taste test both versions and wow, SO yummy. The candy cane version has tiny bits of crunchy candy cane inside, and the mint version has a minty filling that just melts in your mouth. The process is super, super simple. Line your cookie sheet with wax paper and add the pretzel snaps and Hugs. Bake them in the oven at 300 for 2-3 minutes until glossy, but don't let them melt all over the place. (Messy!!) When you bring them out, gently place another pretzel on top to make a pretzel sandwich. Throw them in the fridge to cool down, and you're good to go! They basically taste like chocolate covered pretzels but are much less labor-intensive. The Rolo bites have the same process except you place a pecan or walnut on top instead of another pretzel. I used some simple clear bags and craft ribbon to cinch them up, adding gold polka dot gift tags from Hobby Lobby. Easy cheesy! The husband gladly taste-tested all of the different versions and concluded the Hug pretzel bites were his favorite. Trust me when I say that they are all delicious! I love Pinterest for so many reasons, but I've gotten the most use out of the food section. I love the simple and easy cooking ideas that people come up with! I've tried many of them and have a lot more on my to-do list. Have you whipped up any yummy treats lately? Let me know if you have any that you recommend!